We won #1 Best Roofing Business in Ajax & Pickering 8 years in a row! 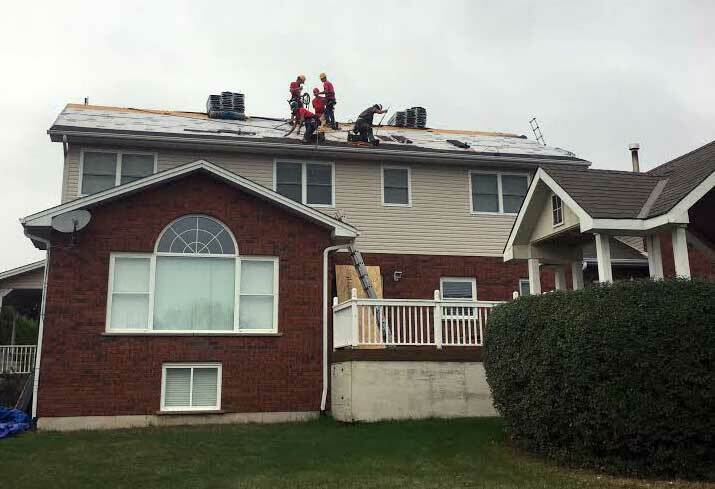 Ajax Roofing is a family business with twenty years of experience in re-roofing and repair striving on customer service, we are the best choice to get the job done. We believe honesty and hard working ethics are key in guaranteeing a great finish and flawless communication with the customer. 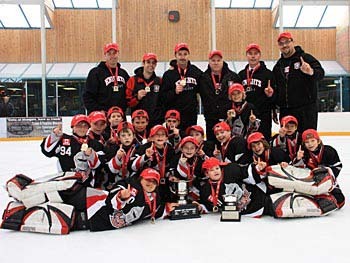 We have satisfied customers all over Durham Region. Ajax Roofing takes pride in following every building code and safety standard. Ajax Roofing only installs the best products for your roof, that is why we can guarantee a no hassle twelve year written warranty. 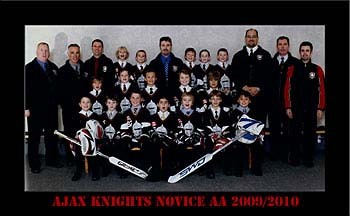 Our staff are skill trades men and have been employed with us for years. We follow a very simple yet important principle: We treat your home like our own! What to Expect as Temperatures Dip? We will also fix other roofer mistakes. Unlike a lot of their competitors, Ajax Roofing does not subcontract their work. 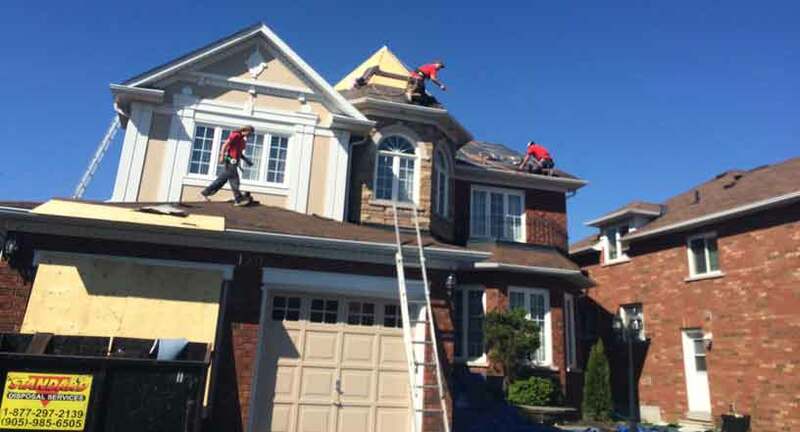 Ajax Roofing is an incorporated company with WSIB and a two million dollar liability insurance. Cheap labor is NOT skilled. Skilled labor is NOT cheap. Best contract service I have ever experienced.Travis is knowledgeable, honest, trustworthy, his attention to detail is out of this world and he doesn't waste your time with trying to up sell you on stuff you don't need. We had a very bad leak in our roof, which required a section to be replaced. The guys at Ajax Roofing did it very quickly, and didn't leave me with a mess to clean up after. I'd highly recommend them! Just a very quick THANK YOU to Travis and his gang. They saved us twice. First time in the winter, when our gutters froze and the roof needed some FAST attention. Second, after our roof was completely redone and also destroyed by a "fly by night" company. 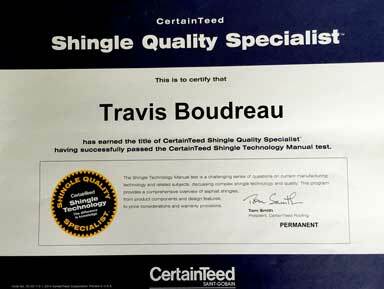 Travis recommended the proper action and worked with us at more than professional level. Thank you! You guys rule! Would highly recommend this company to anyone, on the spot! Ajax Roofing also installs cellulose attic insulation - this product is superior to fiber glass insulation. Cellulose insulation is a type of loose-fill insulation made from recycled wood fiber, primarily waste newspaper and cardboard. The wood fiber, which is composed of cellulose, is shredded and pulverized into small, fibrous particles that pack tightly into closed building cavities, inhibiting airflow. This provides a thermal resistance of R-3.6 to R-3.8 per inch. Manufacturers add chemicals to the cellulose to make it insect and fire resistant. Due to air circulation and natural convection, the R-value of blown-in fiberglass insulation decreases by as much as 50% as the temperature drops from 45 degrees F to 18 degrees F.
Ajax Roofing takes pride in their work and is determined to be the best at what they do. Ajax Roofing uses only high quality materials with the warranties to back it up. 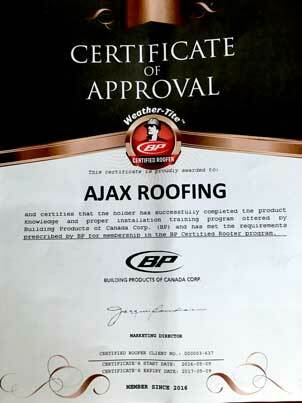 Ajax Roofing provides a twelve year written guarantee that covers the entire roof. Nails: Galvanized steel nails of the highest quality. Vents: Highest quality metal Lomanco vents and Air Hawk vents. Vent Pipe Flashing: The highest quality Duraflo vent pipe flashing. Aluminum Electrical Pole Saddle: Aluminum saddle pan installed in front of electrical pole for water tightness. Caulking: Premium TREMCO and Kop-R-Lastic caulking insuring complete water tightness for the entire life of your roof. Colour coordinated with the flashings. All Valleys: Ice and water and 24 inch metal roof valley will be installed in all valleys insuring water tightness. 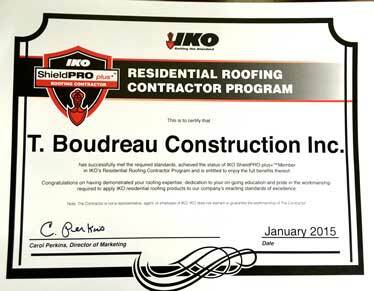 Underlay: Premium ice and water shield will be applied on all edges of the roof deck to insure water tightness. More resistant to animal damage than other shingles. Want to visualize different shingles on your roof before purchasing? Try IKO's ROOFViewer (best viewed in Internet Explorer). 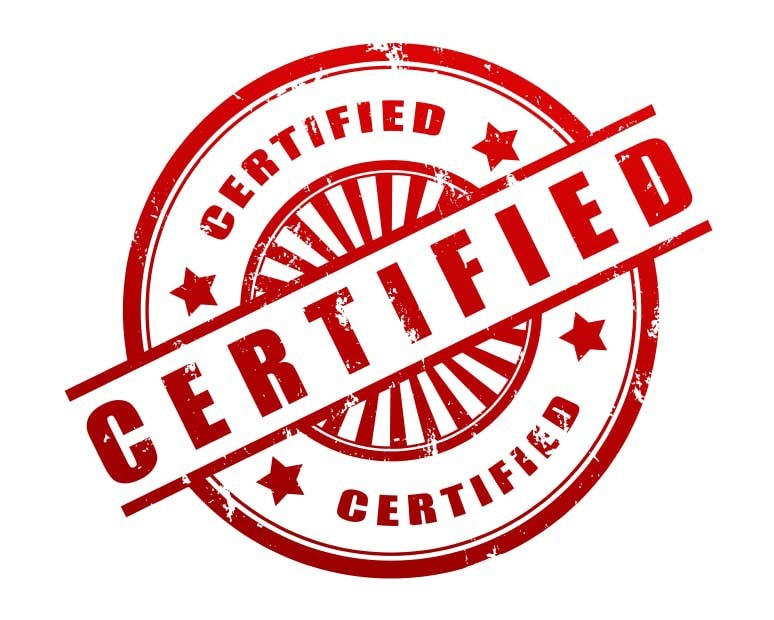 We are certified Velux skylight installers! More information. If you have questions about shingles, here is a great place to start! If you have questions about other roofing materials, feel free to ask us! In all of our years in the roofing trade we have never had an insurance claim. Part of the reason is that we do not use subcontractors at all. Using subcontractors is one of the leading causes of claims in the roofing industry. It is actually one of the first questions a roofer is asked when filling out the insurance questioner each year at renewal time, do you use subcontractors? YES or NO? The insurance industry knows the problems with sub contactors and so do we. In our opinion sub contractors do not take the pride in roof installation that we have always required. All of our employees are highly skilled trades people paid per hour. One of the company owners are always on the roof or monitoring the crews constantly to keep quality control extremely high and any dangers leading to insurance claims extremely low. We believe that having one of the principal company owners in charge of each jobsite insures a quality job and a safe working environment. 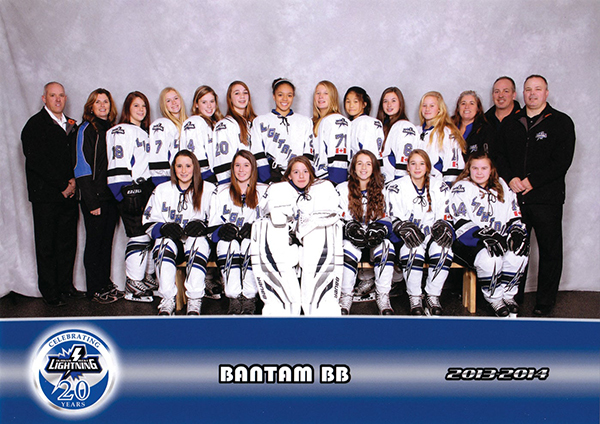 Ajax Roofing is proud to sponsor local hockey, soccer and speed skating teams. Feel free to call us for a free estimate or with any questions/concerns you may have.